Well the 70th Cannes Film Festival officially kicked off this morning(May 17th) and Marion Cotillard is up first at the photocall for 'Ismael's Ghosts' at Palais des Festivals in Cannes, France. 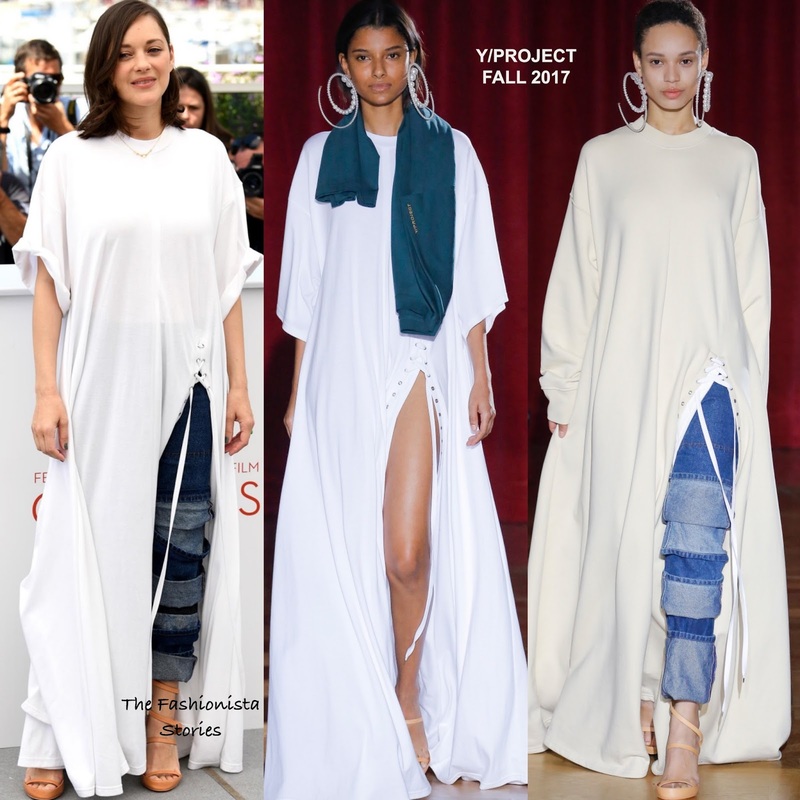 The actress rocked a casual but chic look Y/PROJECT which featured a FALL 2017 white floor length tee shirt with a asymmetrical lace-up split and layered cuff detail jeans. Keeping the styling of her look simple, she finished up with a side parted layered cut, a gold necklace and strappy sandals. What do you think of Marion's look?